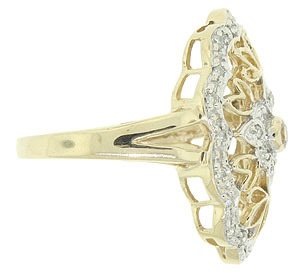 14K white and yellow gold flourishes ornament the surface of this lovely estate diamond ring. 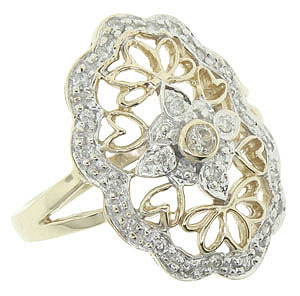 The filigree and diamonds compliment each other. 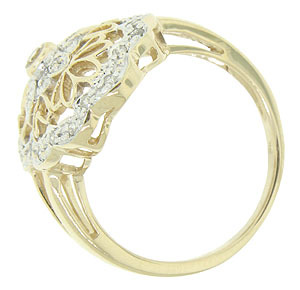 The diameter of the fullest part is 22.66 mm in width. Size 6 3/4. We can resize. Circa 1950.